Files: 11.:: Size: 482 MB (flac). This is a bootleg of Stevie’s concert at the Rainbow in London, in 1974. 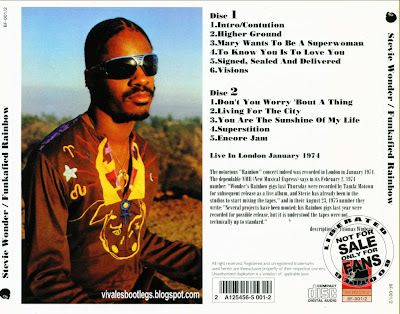 Word was, back in the day, that this concert was going to be officially released, but later on Stevie changed his mind, saying the audio quality of the tapes wasn’t up to snuff. This is strange, because the bootleg is a soundboard recording, and has great sound. Everything comes in crystal clear. --- If you take a look at this CD, the first thing that will strike you is the length of most of the songs. Seven minutes, eleven minutes, even eighteen minutes. You take a look at that 1974 date, take a look at Stevie’s large, multi-ethnic band (complete with electric guitar, keyboards, a great bassist), and you figure you’re in for some stoned-out mid-‘70s “hairy funk,” which was the style at the time. But, save for a few moments, that’s not the case. 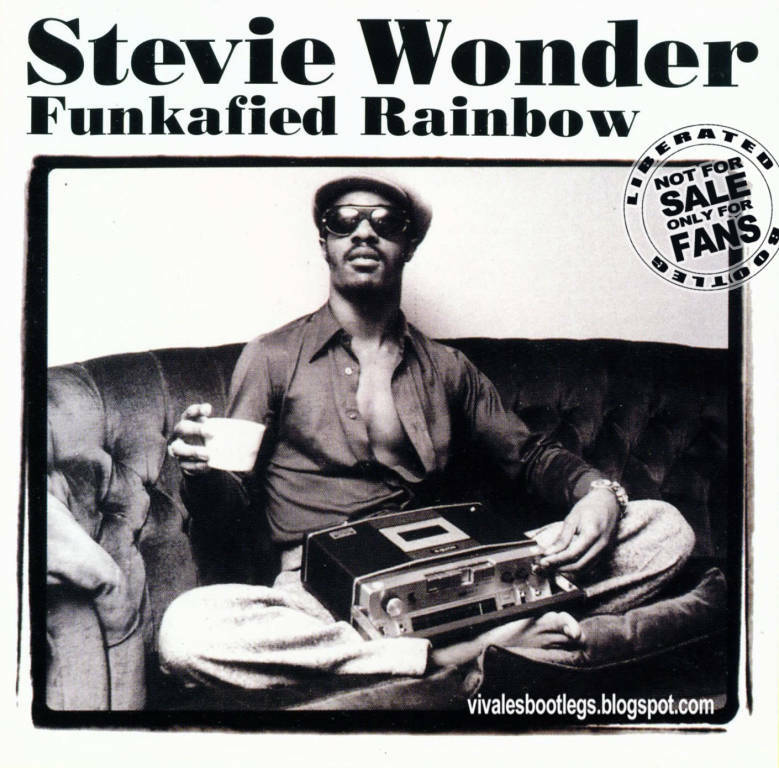 The majority of the running time on the longer tracks is given over to Stevie improvising while playing his clavinet alone; there are only a few moments of full-on funky jamming from the complete band. Which is a shame, especially for anyone who’s seen that great footage of Stevie on “Sesame Street” from 1972, playing “Superstition” live with his touring group; there they tear through the song and take names. --- The fact is, this is a great concert, with great sound, and it should’ve been released officially. Definitely hunt it down if you are a Stevie fan (and let’s face it, what excuse would you have to NOT be a fan of golden age Stevie Wonder?). Reviewed by Joe Kenney.<-(Info taken from headheritage.co.uk/unsung/review/1599). Awesome. I've always wanted to hear Stevie live.